On Wednesday, April 10th, in a formal restitution celebration, Lieutenant Angelo Giovanni Busciglio, Brigadier Chief Antonio Di Garbo, and Deputy Brigadier Filippo Vassallo, of the Carabinieri Nucleus for the Protection of Cultural Heritage - Palermo, were honoured for their recovery efforts during a ceremony held at Palazzo Chigi, in the historic center of Ariccia. 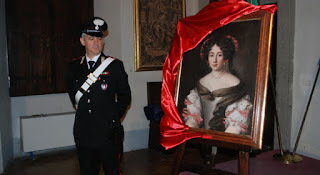 The unit was directly responsible for the discovery and return of an oil-on-canvas portrait depicting Marta Ghezzi Baldinotti (1649-1718), the wife of marchese Cesare Baldinotti, which once hung in the palace's stanza delle belle and had been stolen from the historic palazzo 32 years ago, along with 20 other works of art. 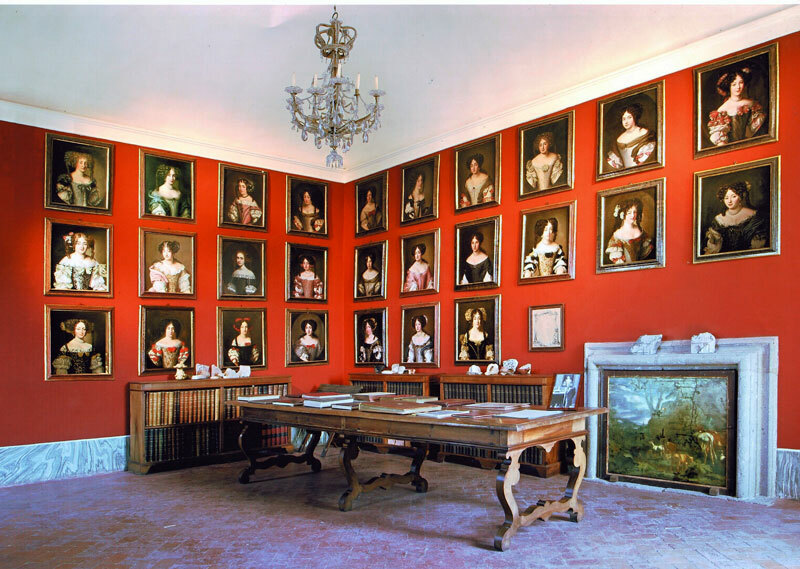 Portraiture of well bred ladies, those that made up the so-called galleria delle belle or cabinets des dames, were leitmotiv in the furnishing of noble residences during the seventeenth century. 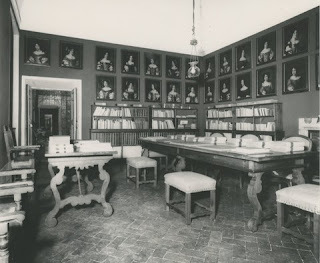 the portrait in Palazzo Chigi's "stanza delle belle". The painting is attributed to Jacob Ferdinand Voet, a Flemish portrait painter from the Baroque period who is known for his portraits. The artist had an international career, which brought him to both Italy and France where he made portraits for members of elite families and appears to be strikingly similar to another portrait of the Marchioness which likely helped with the unsigned artwork's attribution and identification. After training in Paris, Voet spent time in Rome, then Florence, and lastly Turin before returning, first to Antwerp in 1684 and later in 1686, to Paris where he was called as a painter of the French court. 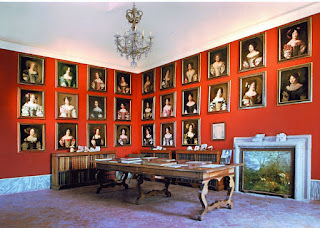 The Marchioness was the daughter of Felice Angelo Ghezzi, the Duke of Carpignano and Baron Zullino. On April 17, 1667, she married the Marquis Cesare Baldinotti di Pistoia (1636-1728) who was the Duke of Pescorocchiano. 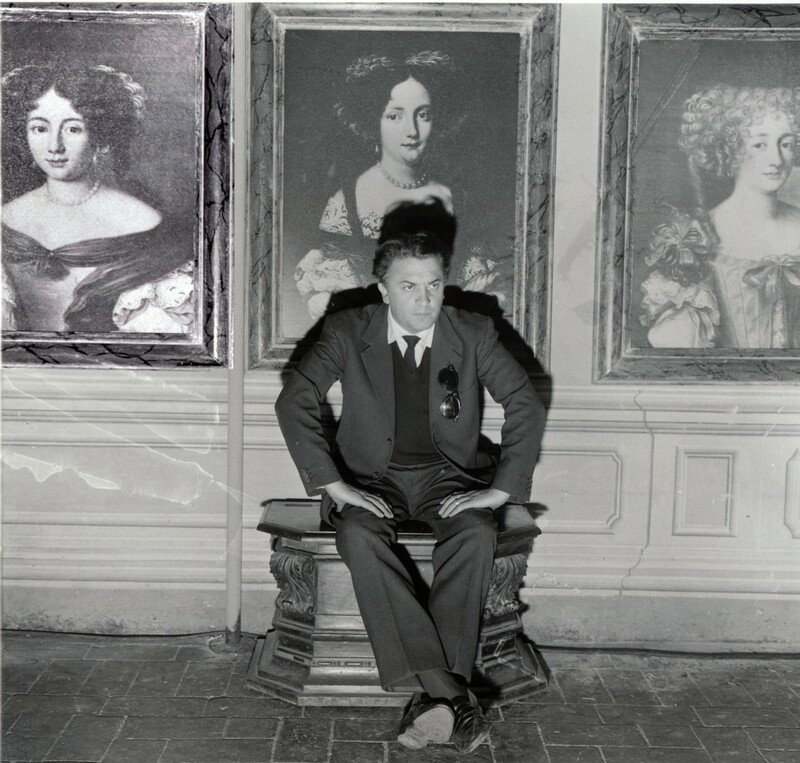 The painting was located on the art market by Brigadier Chief Antonio Di Garbo of the Carabinieri del Nucleo Tutela Patrimonio Culturale (TPC) in Palermo in the sales inventory of an antiques dealer in Palermo. 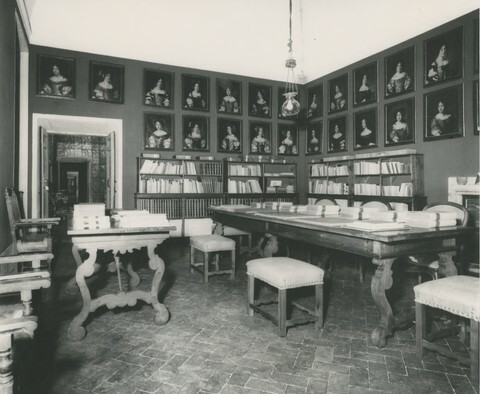 During a series of investigative procedures, as well as a crosscheck of records within the Carabinieri Leonardo Stolen Art database, and with architect Francesco Petrucci, who is the conservator of works of art at Palazzo Chigi, the law enforcement officer's match was validated and the antiquarian questioned by the Carabinieri. Giving an implausible answer as to how and where he had acquired the stolen painting and unable to substantiate a legitimate claim to the portrait, the painting was seized in the Autumn of 2018. During their investigations the Carabinieri squad in Sicily also identified a second individual from Marsala, who along with the antiquarian was referred to the Public Prosecutor's Office at the Court of Palermo where both have been denounced for receiving stolen goods. 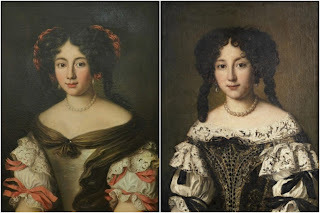 As a painter Voet was highly sought after and had numerous followers and imitators, many who copied his style of portraiture of well bred ladies.